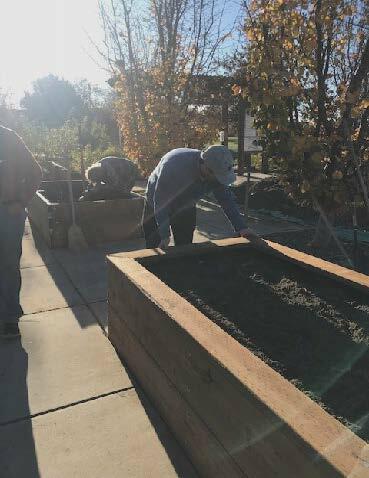 The Demonstration Garden located at Grange Park behind the Mid-Columbia Libraries Kennewick Branch is a community asset of beauty and inspiration. An ongoing project of the Master Gardeners of Benton and Franklin Counties, the garden was developed to demonstrate, test, and teach gardening in its many forms in our unique climate and soils. The garden is supported by Master Gardener volunteers and is funded entirely by donations from individuals, organizations, and local businesses. Visitors to the Master Gardener Demonstration Garden can explore more than two dozen distinctive and ever changing theme gardens. The gardens currently feature over 50 trees, 800 roses, 100 shrubs, and even a children’s garden at the serene 2 1/2-acre site. This past year over 7,000 pounds of fresh produce was donated to the Tri-City Food Bank from the vegetable garden. Home Depot (East Kennewick Store) recently replaced six raised beds in the Entry Way Garden. It was exciting to see the Home Depot orange shirts arriving with materials, equipment and many workers. They immediately went to work and in five hours six beds were removed and replaced. 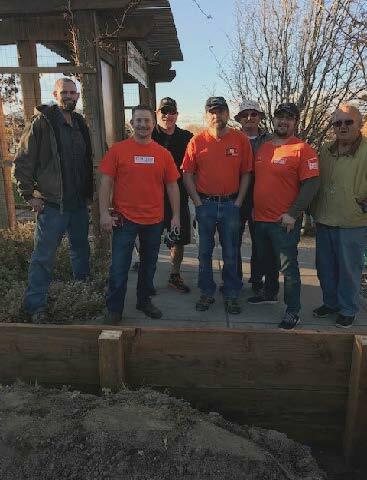 Home Depot has continued to support the Demonstration Garden for many years. It is great to see such support from the community that allows the Demonstration Garden to continue to be a great place to visit and learn. Thank you to Home Depot and all of our volunteers! The USDA recommends pressure canners with dial gauges be tested annually. Why? Testing the gauge tells you whether your gauge is working properly. An accurate gauge is necessary to make sure your home canned foods are safe. Only dial gauges need annual testing. Weighted gauges stay accurate unless they are damaged. 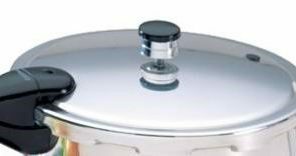 Pressure canning is the only recommended method for canning meat, poultry, seafood, and vegetables. The risk associated with these low-acid foods is botulism poisoning, if they are not processed properly. 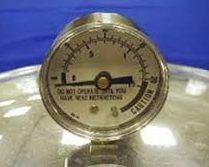 Only pressure canning will allow food to be heated to and held for a specified time at 240 degrees Fahrenheit which is hot enough to destroy the bacterial spores that emit toxins. Dial gauges like this one need to be tested every year to ensure accuracy. Weighted gauges like this one do not need tested. WSU Benton County Extension offers free testing of dial gauge pressure canners. The WSU Extension online bookstore has released new publications that are free to download on their website. 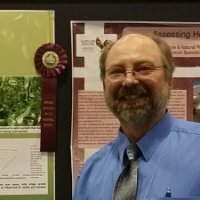 Compost, cover crops, or no-till/min-till? Get a cost and benefits comparison of all three in this publication. Understanding the nutrient requirements of perennial fruit crops is paramount to the longevity and sustainability of a commercial operation. This guide provides basic information on grape plant nutritional requirements, and how those nutrients become available for use. It also provides specific information relating to vineyards; how site, soil, and viticulture practices influence nutrient uptake. Information on how to soil and tissue test for vine nutrient status is described, as well as specific recommendations for correcting nutrient deficiencies, broken down by the key macro and micronutrients required by grapevines. FREE online PDF download. 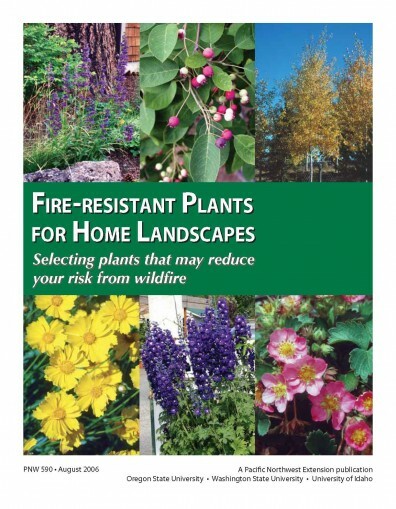 Hard copies may be purchased at our Prosser Extension office. Guide to control of diseases, insects, weeds, and vertebrate pests on commercial grapes. Weed controls – both soil-active and foliage-applied herbicides – are outlined for new and established plantings. Disease and insect controls are coordinated to pest and crop stage. Here are a few other recent publications that may interest you. Identity theft is one of the fastest growing white collar crimes. Regardless of the form it takes, identity thieves need to have at least some of your personally identifiable information. This publication cautions against providing opportunities for thieves to access this information and provides tips and tactics to avoid becoming a victim of identity theft. Lady beetles are a popular biocontrol method for aphids in home gardens and landscapes. Many gardeners purchase these insects at nurseries, garden centers, and online. This publication discusses the drawbacks to using purchased lady beetles and suggests some alternatives for attracting and retaining local species. To better conserve and protect bumble bees in home landscapes in the Pacific Northwest, this publication aims to develop public awareness and appreciation of bumble bees and their role in pollination. It will also help readers recognize bumble bees, understand their general life cycle, and suggest things homeowners and the general public can do to encourage these fascinating and beneficial insects. Many vegetable gardeners use raised beds, but other gardeners successfully grow fruit and vegetables directly in native soil. Which system is best for you? This fact sheet will describe the uses of raised beds, and weigh their benefits and disadvantages, giving you information to decide if they are a worthwhile investment in your garden. The fact sheet also includes some basic tips on raised bed soil preparation and management. Alfalfa is harvested in the Northwest. WSU Extension scientists are studying genes to help develop more digestible varieties. Grown for three to five years at a time without tillage, alfalfa improves the soil, adding nutrients, organic matter and structure while eliminating disease. A nutritious feed that is high in protein, alfalfa improves the soil and provides habitat for wildlife. Dairies are major customers of alfalfa hay, and dairy cows consume large quantities of alfalfa-fortified feed. 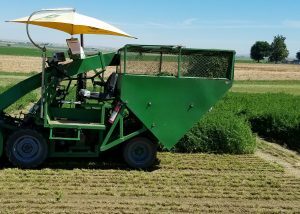 Using the university’s germplasm repository, scientists are studying 150 alfalfa varieties from around the world, along with 50 from local commercial varieties. Researchers will plant them next spring at Prosser, Wash., La Grande, Ore., and Twin Falls, Idaho. Next summer, they’ll sample plants and hay for genetic markers that denote lower fiber and better digestibility. Joining in the project are WSU faculty members Don Llewellyn and Steven Fransen; USDA Agricultural Research Service scientist Long-Xi Yu; University of Idaho specialist Glenn Shewmaker; Oregon State University forage specialist Guojie Wang; and University of Wisconsin scientist Dave Combs. Learn more about forage research at Washington State University here. Have you met our new 4-H Coordinator? Meet the newest member of our team, Lauren Jones Romney! 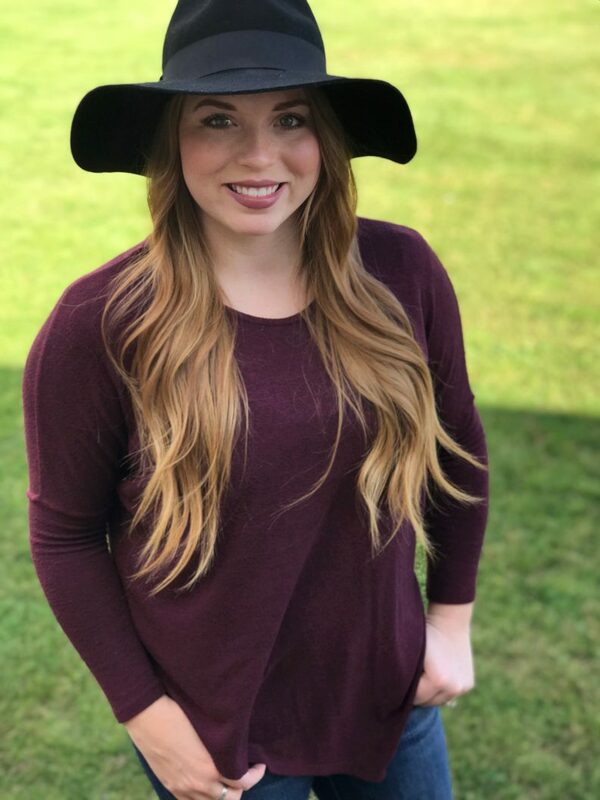 Welcome Jamie Wolf to our Livestock Extension team! Jamie has just arrived to begin his Master’s Degree work with WSU Extension and the WSU Department of Animal Sciences. His hometown is Pierre, SD and he recently graduated from Kansas State University with a Bachelor of Science Degree in Animal Sciences and Industry. Jamie will be working with Dr. Don Llewellyn with a focus on ruminant nutrition and forage quality. 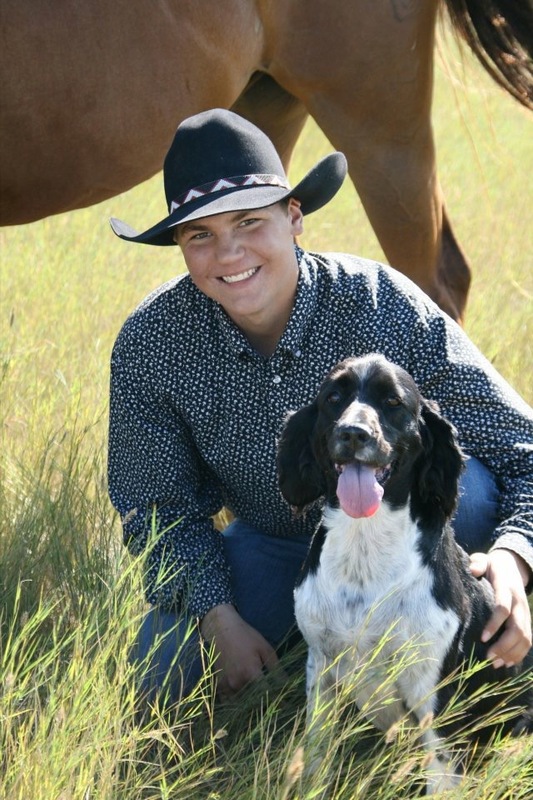 In addition to his classwork in Pullman and his research work, Jamie will be part of the Livestock Extension team working with Extension Educators and Specialists on a variety of educational programs for livestock producers, industry, and youth throughout Washington State. 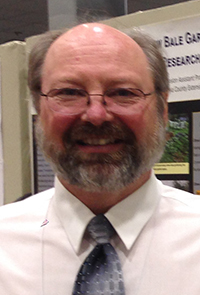 Our own Regional Forage Specialist, Steve Norberg, was successful in receiving a $40,000 grant in the first ever alfalfa checkoff with a grant entitled “Developing Practical Phosphorus and Potassium Tissue Test Recommendations and Utilizing Struvite in Modern Alfalfa Systems”. 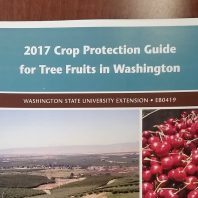 This work will better enable producers to know when to fertilize their alfalfa with phosphorus and potassium and how to use a processed dairy manure fertilizer called struvite which is a dry granular material for the Columbia Basin alfalfa. Co-Investigators on the grant include: Steve Fransen, Don Lewellyn, Joe Harrison and Liz Whitefield. The Washington Animal Disease Diagnostic Laboratory (WADDL) received confirmation of a new (to Washington) enteric disease in pigs from a farm in eastern Washington that was having a large mortality in baby pigs. WADDL sent the samples to a Midwestern lab for DNA testing which determined the virus was porcine delta coronavirus (PDCoV). This virus is relatively new to the United States and is related to Porcine Epidemic Diarrhea (PED) virus, Transmissible Gastroenteritis (TGE) and Swine Enteric Coronavirus (SECoV). An ongoing investigation by the Washington Department of Agriculture State Veterinarian’s Office will try to determine how the disease may have entered the state. The mortalities have stopped now that the sows have developed a natural immunity to the disease. Please contact WSDA State Veterinarian’s office (360-902-1881) or WADDL for any follow up questions. As noted above by Dr. Brian Joseph, DVM, WSDA State Veterinarian, Porcine Delta Coronavirus (PDCoV) was detected in a herd of pigs in Washington State in mid-May. PDCoV is a coronavirus that causes diarrhea and vomiting in all ages groups and mortality in nursing piglets. PDCoV was first detected in pigs in Hong Kong in 2012, and was first detected in the US in February 2014 on the heels of the severe outbreak or Porcine Epidemic Diarrhea Virus (PEDV is different type of coronavirus) that started in May of 2013 in the US. Mortality rates vary widely on pigs infected with PDCoV, however mortality rates have been much lower than those experienced with the PEDv outbreak of 2013/2014; highest mortality rate is in nursing piglets under 14 days of age where there is no colostrum immunity to protect the piglets. There is no vaccine for PDCoV, however biosecurity at the farm and with transportation vehicles can help prevent the spread of PDCoV and other swine dieses. Humans and other animals cannot get infected with PDCoV and it is safe to eat pork as there is no risk to food safety or human health from PDCoV. An informative website outlining PDCoV is: https://www.pig333.com/pig-diseases/delta-coronavirus_162. Also, the Pork Information Gateway, www.porkgateway.org, has excellent resources about Cornavirus Diseases and biosecurity for both commercial producers and youth producers. It is important to remind youth showing pigs or transporting pigs for pre-weigh/tag events to help do their part to protect not only their pigs from diseases but other pigs back in their area. The Pork Information Gateway has an excellent video for youth on biosecurity practices for their pigs and equipment involved with raising pigs at http://porkgateway.org/resource/biosecurity/ . This specific disease outbreak has not been associated with any fairs or show pigs, however as show season starts up and more pigs are transported it is good to remind our younger and new producers about good biosecurity practices when raising pigs. “Porcine Reproductive and Respiratory Syndrome virus was recently (late May) diagnosed in a small, swine farm in Washington by the USDA National Veterinary Services Laboratory. Please contact your veterinarian concerning implementing vaccination and management measures to reduce the potential incidence of and mitigate the effects of this disease syndrome,” Dr. Brian Joseph, DVM, Washington State Department of Agriculture State Veterinarian. PRRS was first recognized in the US in the mid-1980’s and was called “mystery swine disease”. A study by the National Pork Board (NPB) in 2011 reported that PRRS Cost the industry $664 million annually. Improved understanding of the disease, pig production, animal health care and management have been able to control the incidences, severity, and impact this disease has had on pig farms. Because Washington state has a small swine industry compared to the Midwest, and the fact that most of our swine herds are isolated from one another, we have not had the incidences/experiences with many of these diseases. This is both good and bad—because of isolation we have been able to keep the disease out, but we also lack experience of dealing with these diseases when they present themselves (which can lead to panic). We have many new and small producers raising pigs and we have many more pigs being transported to Washington state than in previous years—especially this time of year with show pigs moving around to shows and pre-weigh/tag events. So with these new reported diseases in the state, this is good reminders for both experienced and new swine farmers to implement effective herd health programs, that also involve strict biosecurity plans. “PRRS exist in two distinct forms, reproductive and respiratory, and infected farms may experience one or both. A variety of factors, including swine genetics, the specific PRRS virus variant in the herd, health status of the herd, ages of the animals involved, and pregnancy status, may influence the signs. As a consequence of mutation and recombination, new genetic variants of the PRRS virus appear frequently. Constant genetic change in PRRS virus may explain: 1) the wide variation in clinical disease observed in the field; 2)why prior exposure to one PRRS virus variant may not provide protective immunity against other variants; and 3) why certain vaccines may not be protective in some hers or under certain circumstances.” The Pork Information Gateway, www.porkgateway.org has excellent factsheets about PRRS and PRRS Control/Elimination. In addition, “The Pig Site” has a good outline of PRRS and symptoms at http://www.thepigsite.com/diseaseinfo/97/porcine-reproductive-respiratory-syndrome-prrs/ . Again, we often talk about the importance of a good biosecurity plan, however for it to be effective, it must be strictly followed. As stated above, in Washington we have been fortunate to not only have low exposure to many of the swine diseases, but isolation (great diseases between swine herds) has helped decreases ability of exposure and spread for diseases like PRRS, PEDv, and Delta Coronavirus. With these diseases (PRRS and Delta Coronavirus) being diagnosed in Washington swine herds recently and with many more pigs being transported within and across state lines, it is critical that we implement effective biosecurity practices and herd health plans to keep Washington swine herds healthy. The Pork Information Gateway also has excellent biosecurity factsheets for farms of all sizes and youth raising pigs, www.porkgateway.org. Stay up to date with the latest Extension news delivered right to your email inbox. Sign up for our Irrigated Agriculture list serve today. While our dry climate may be great for growing agriculture and enjoying the outdoors, it also can set up the perfect conditions for dangerous wildfires. 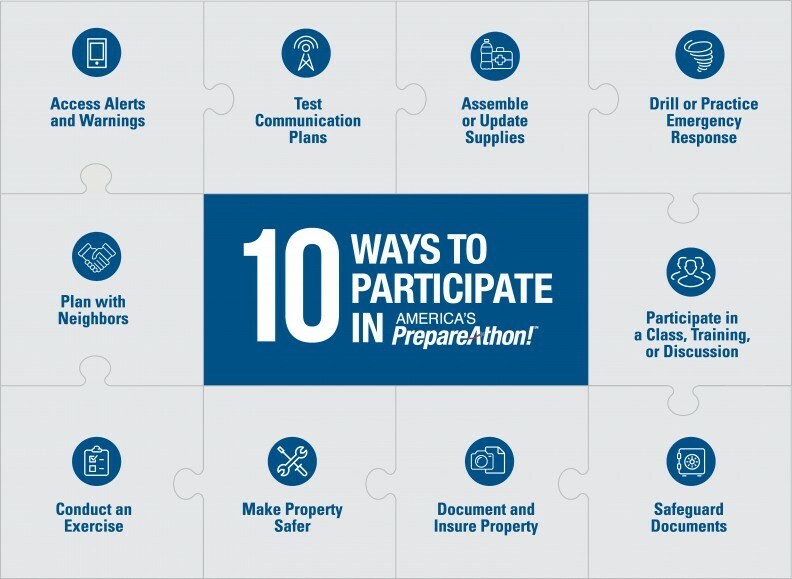 The best defense to protect your home and family is knowledge. 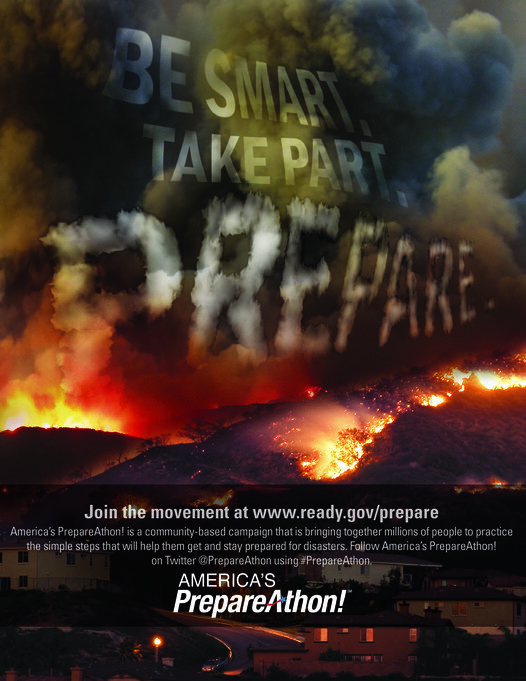 WSU Extension has gathered resources to help you prepare, but warns that you must always stay aware of current fire situations in your area and follow all directions given by local fire and law enforcement. 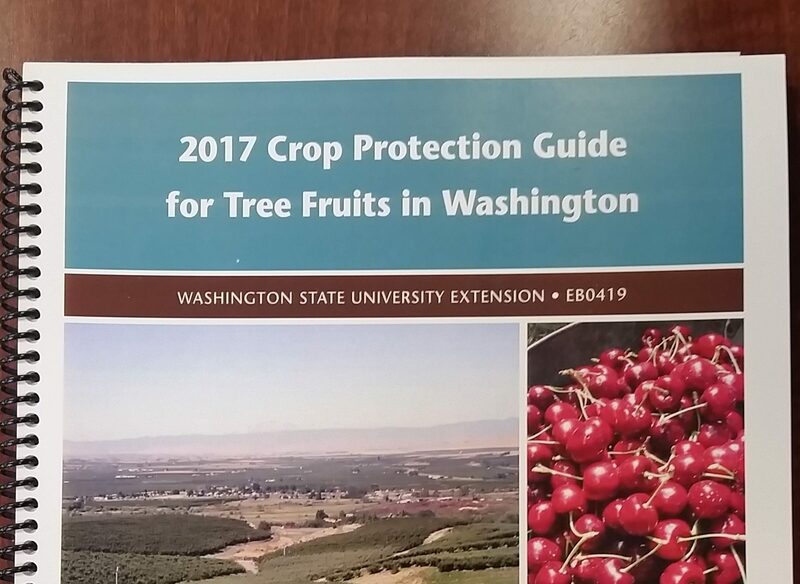 Haven’t gotten around to picking up your 2017 Crop Protection Guides yet? Our Prosser office still has a few copies in stock. Stop by Monday – Thursday, 9am-3pm to purchase your copy. The Prosser office is located at 1121 Dudley Avenue.